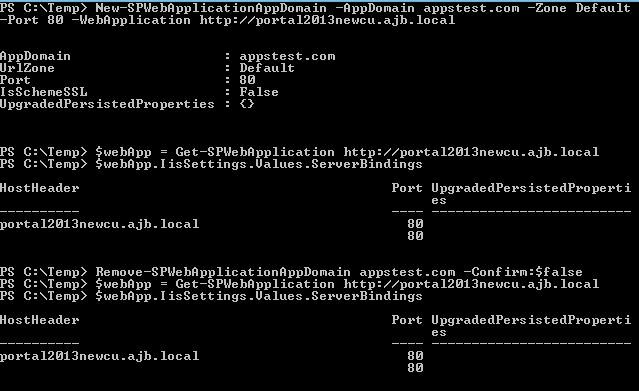 I can run remove/add-spwebapplicationappdomain commands all day and it’ll create and delete the binding in IIS but running the PowerShell commands above you can see that even though IIS is cleaned up, the config database still sees that binding. Change the port using PowerShell. Since this is affecting the Default zone only you could extend the web app to a temp URL, delete the Default Zone, and extend the original URL back to the default zone, and delete the temp URL zone. I go through this procedure because of custom solutions deployed to the farm. If you delete all zones, things just don’t seem to work right. Since the environment is using host headers (which use the server IP address) we had to bind an additional IP address to the NIC. This is because since the wildcard certificate for the primary domain already exists for the main site, we cannot attach the wildcard certificate for the app domain unless we bind an additional IP address and change the CNAME to a wildcard A Record pointing to the new IP (Or create a new A record and then point the CNAME to that..Too much work!). Now that everything was properly configured and I was able to ping app-123.appdomain.com and it returned the new IP address we went ahead and added an app part to a team site. We got an unexpected message where our beautiful SharePoint app should be: “This content cannot be displayed in a frame”…UUUUUGHHHH! Now I started comparing differences between test and prod and noticed that the default zone on prod has FBA enabled and doesn’t on test. I was able to replicate this on test by enabling FBA for the default zone. Luckily we don’t need FBA on the default zone and only the extended zone (in this case extranet) so I disabled FBA and called it a day. If you need FBA enabled on the default zone you could create a custom login page that forces integrated authentication. I had to settle on /apprequest instead..dang! 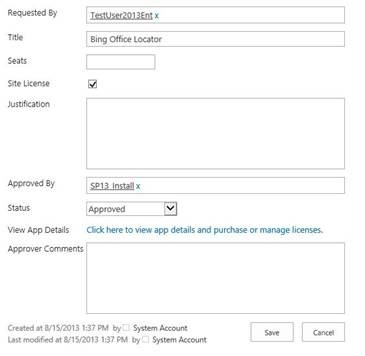 After setting up this Service Application the “Microsoft SharePoint Foundation Subscription Settings Service” needs to be started in order for Apps to work. In 2010 this was only for multi-tenant installations, but there is now a dependency for apps. After setting up the appropriate services you need to configure a generic web application that has a blank host header and listens on port 80. Because of how the redirect for the app domain works IIS will try to resolve the app URL by using the default IIS web site, which of course doesn’t work. This appears to be fixed in the March 2013 Public Update (http://technet.microsoft.com/en-us/library/dn144963.aspx). One gotcha here is that if the NETBIOS name of the server is longer than 15 characters make sure that the generic web application is equivalent to this. Do not go in and change the URL to the full server name as this causes issues! Note: If you have a wildcard certificate for *.ContosoApps.com, you would need to purchase another wildcard certificate for *.apps.contoso.com if you are using a subdomain as your app domain. 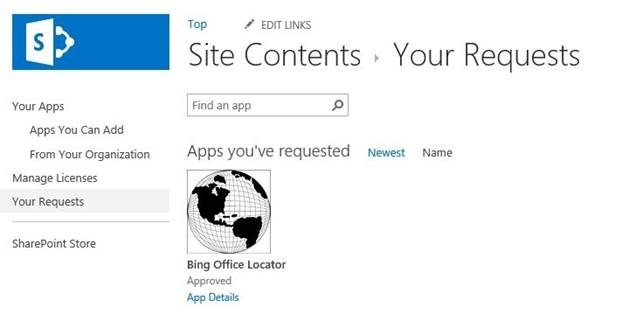 Microsoft highly recommends that you create a new domain name for apps.